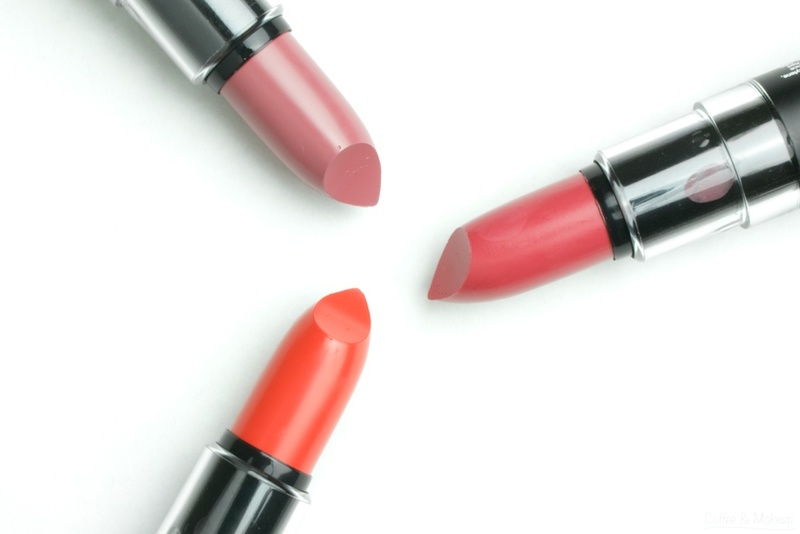 What it is: NYX Matte Lipsticks are described as long-wearing, highly pigmented and non-drying. There are currently 33 shades available on NYX’s website. Packaging: The tube is lightweight and made of black plastic with a see-through portion in the middle, where you can see the color of the product inside. The lipstick twists up easily and the cap is easy to remove but stays on securely. Smell/Fragrance: The ingredients do list fragrance but to me these just smell waxy. Application: For a matte these glide on more easily than expected. I had to use a bit more pressure compared to a non-matte to get the color to transfer but it didn’t drag or tug at my lips. It’s a good idea to exfoliate your lips and use a light layer of lip balm underneath to get a smoother application. Because they have such great color payoff, using a lip brush can help achieve clean, crisp edges. Texture: These go on pretty creamy and, at first, don’t appear to be truly matte but they do eventually dry down. While wearing them, they felt heavy and I was always aware of them being there. Pigmentation: These are pretty much opaque on the lip. They do not leave behind a stain. Longevity: I get between 2 and 4 hours of wear from these depending on how much effort I put into prep. If I am not dehydrated and I exfoliate my lips and use lip balm underneath, wear-time is closer to 4 hours. The drier my lips were, the more they faded unevenly, remaining intense on the outer edges but wearing away easily toward the inner edges. I can see why these have lots of great reviews – tons of shades, awesome color payoff, actually pretty creamy as far as matte lipsticks go, and affordable. Unfortunately though, these just weren’t for me. I don’t have much patience for lip products that require lots of prep and maintenance.